Why Are There so Many Cows in Chatham County? 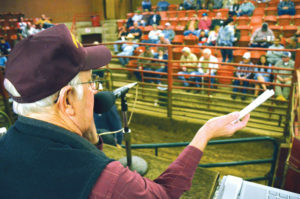 Each Monday and Friday, farmers and cattle ranchers gather at the Carolina Stockyards to sell their livestock. If you arrive a couple hours before the auctions begin, you’ll hear a lot of noise. But the predominant sound is the cacophony of mooing as transports of cows arrive on the scene. It’s a sound that, if you drive around the whole of Chatham County, isn’t that out of place. According to the 2017 Census of Agriculture, compiled by the U.S. Department of Agriculture, Chatham County produced the second-highest number of beef cows in the state — with nearly 15,000 — by county and the fourth-most cattle in all (37,500 in total). Those who follow the industry say it’s a combination of the county’s geography and ecology and the placement of a popular market, all contributing to an overall financial impact in Chatham of almost $120 million. Primarily, Robbins cites the area’s natural ability to grow fescue, “which is a very hardy forage that produces a lot of tonnage as far as volume for cows to graze on.” To the east, the ground is too sandy, and to the west, it’s too rocky and too cold. Chatham County, it turns out, is in the sweet spot for what is essentially self-reproducing food for cows. Additionally, Chatham has a lot of available farmland — about 111,800 acres in total, with 36 percent used for pastures — and its proximity to areas like Chapel Hill, Raleigh and Asheboro allow farmers to grow cattle for niche markets. “Whether they’re going to be grass-fed or natural or local, (farmers are) going to be able to sell to those areas pretty easily,” she said. Finally, there’s the Carolina Stockyards. 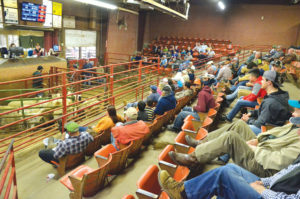 In existence in Siler City since 1948, the sale barn’s auctions bring sellers from across the state and buyers from across the country. Robert Crabb, who owns the barn, adds that the prevalence of chicken litter, which helps grow grass, improves the cattle market. He sees the benefits of that every week. 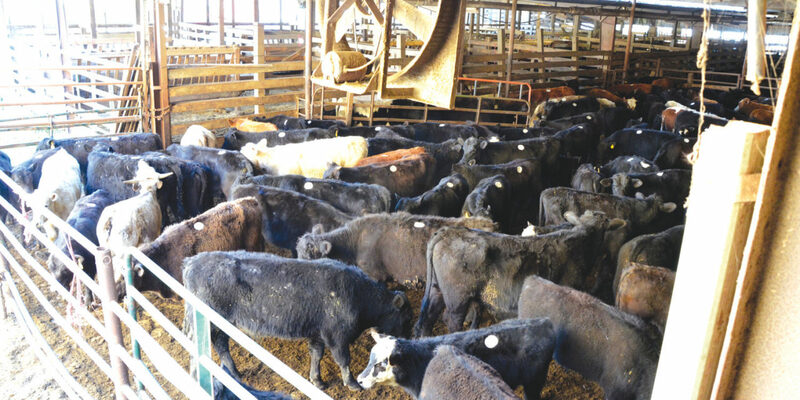 From the March 25 and 29 markets, the Carolina Stockyards saw nearly 2,000 head of cattle sold, which is a pretty high number, from 337 sellers. It’s those numbers which keep his barn in business. Crabb said the cattle sold in Siler City “stay anywhere from fairly local to New Mexico.” Most of it, though, will go to places like Kansas, Texas, Oklahoma and Nebraska. The southeastern part of the country, he added, is good for younger cows, getting them started, but not for getting them ripe for slaughter. The N.C. Department of Agriculture lists just nine stockyards on its cattle and goat reports website. There used to be much more, Crabb said, but the market has consolidated to just a few places, like Turnersburg, Canton, Mt. Airy, Shelby and Siler City. 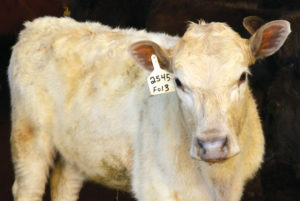 Friday’s sale brought in 1,373 head of cattle, an increase from the previous week’s count of 1,093 and the 887 sold at the same time last year, according to a report from the USDA. 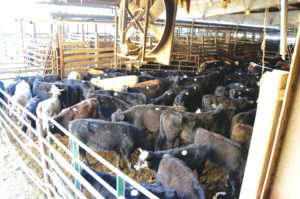 It’s that quantity of product available, Robbins said, that makes the Stockyards a popular place. Companies can fill a whole tractor-trailer with one load because of the number. Additionally, it allows for families to put food on the table and continue a long tradition, something Robbins said is just like the demand for beef or milk. And as long as there is a dinner table, Robbins said, Chatham residents will be hearing the bellow of cattle across the county. 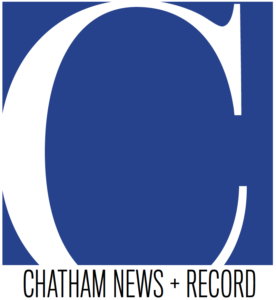 Chapelboro.com has partnered with the Chatham News + Record in order to bring more Chatham-focused stories to our audience. The Chatham News + Record is Chatham County’s source for local news and journalism. The Chatham News, established in 1924, and the Chatham Record, founded in 1878, have come together to better serve the Chatham community as the Chatham News + Record. Covering news, business, sports and more, the News + Record is working to strengthen community ties through compelling coverage of life in Chatham County.